Deputies responded to a small plane crash on the 3000 block of 32nd Ave SE near Everglades Blvd S. around 1:30 p.m. on Saturday. 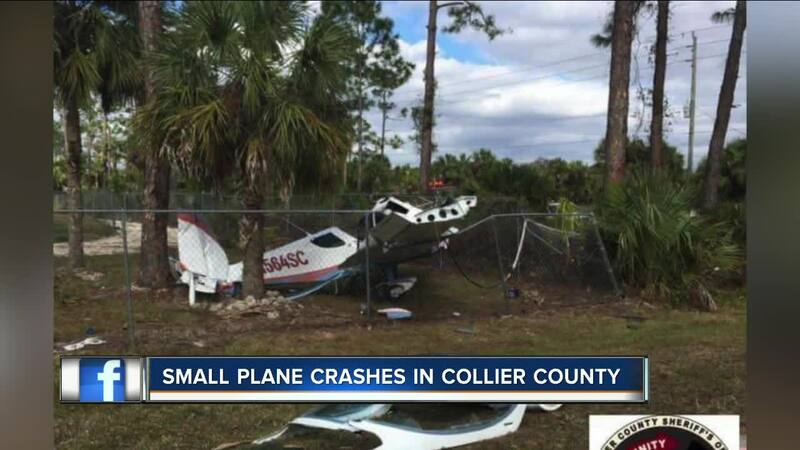 CAPE CORAL, Fla. — COLLIER COUNTY, Fla. -- One person is recovering after a small plane crash in Collier County over the weekend. Deputies say it happened just after 1:30 pm Saturday afternoon in Naples. Two people were on a plane that crashed in the 3000 block of 32nd avenue southeast, near Everglades Boulevard South. Deputies say one of the passengers was transported to the hospital, and the other refused treatment at the scene. Stick with four in your corner for any updates.